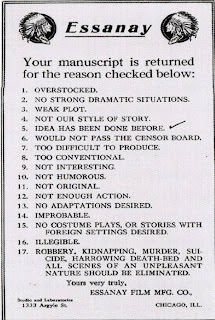 Janet Reid, Literary Agent: 17 Reasons your film script was rejected...in 1925! 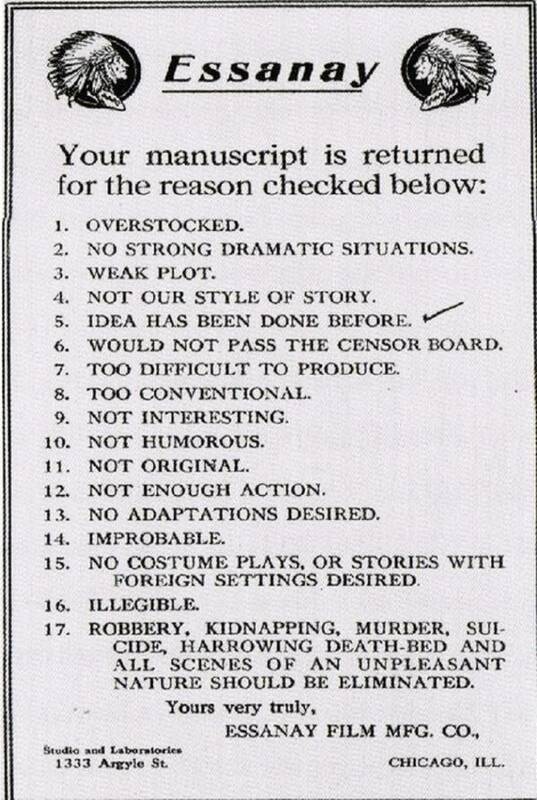 17 Reasons your film script was rejected...in 1925! Too bad some film companies don't use these guidelines today. I love it! If they used these guidelines I might actually go out to see movies! I love the last reason. It's like a violent "all of the above". Well, number 17 leaves me out. It's interesting that in 1925, the reason for rejection was "idea has been done before". Imagine how hard it is coming up with something new 85 years worth of story ideas later. I might actually prefer this type of form rejection. I'm pretty sure number Seven is obsolete these days. Unfortunately, so is number Five. I LOVE #16 . . . #15 is almost as good. I am glad #6 and #17 have fallen by the wayside. Otherwise, not much has changed. 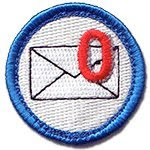 This reads a lot like the Shark's instant rejection list. well, that would certainly force some ingenuity! Good grief! I'd HATE a world where all the entertainment had to pass #17. I live for #17 in my movies (et. al.)! This is priceless. But what's with the logo? Woohoo! I'm twelve for seventeen!
. . . What? It's not a checklist? Dang it! I should have checked your blog feed before posting it in my own blog. 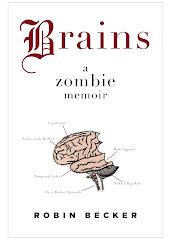 I wonder what literary agents would put on such a list...the thought of a list from the Shark is a little scary. When I was marketing short stories, I actually tried to be cute and include a checklist for rejection (I included one for acceptance, too). Humor, I thought. No one ever used it. This comment is off-topic but I thought this might interest you. This morning the CBS Sunday Morning show did a nice feature on your beloved Lee Child. As a night owl I thought you might have missed it. Holy moly! At the 2:00 minute mark, there's a lovely blonde woman: the wife of my client Jeff Somers! And those four dancing Reacher Creatures? The one on the far left is Bouchercon2010 chair Rae Helmsworth! This is very very cool, thank you Dylan! Coincidentally, I am still waiting to hear from a manuscript I sent in 1925. Now I realize it must be illegible. This should be brought back. Would a checklist rejection make your life easier, Janet? I reject number 11 on grounds of number 5. 5 and 11 are a bit ironic if taken together. I agree with the poster who said this would make a great rejection letter...it at least gives the author a sense of why they've been rejected and doesn't take alot of time from the agent.